There are some pretty good smart light switches called Xiaomi Aqara. It’s basically a light switch with a relay and Zigbee wireless interface inside. 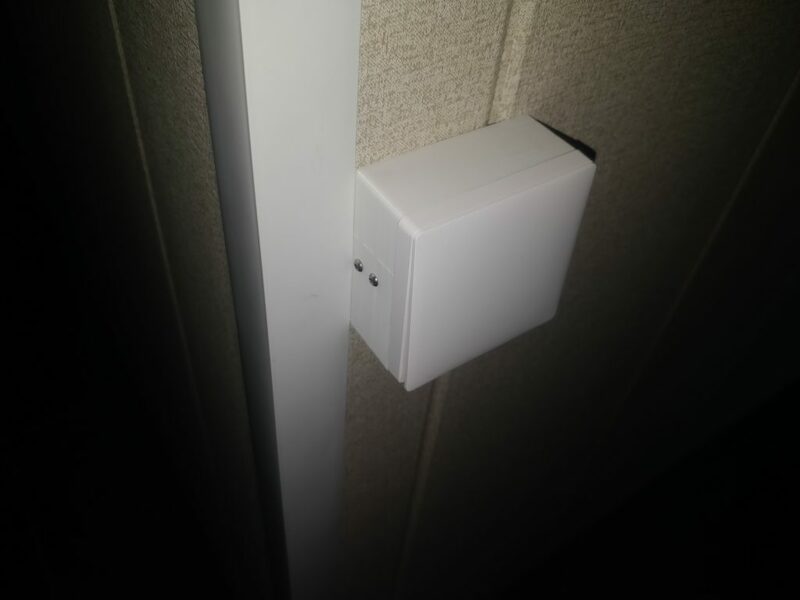 They are integrated with Xiaomi zigbee gateway and can be remotely controlled. Zigbee gateway uses them as a proxy in case the battery-powered sensor is not in the direct range. 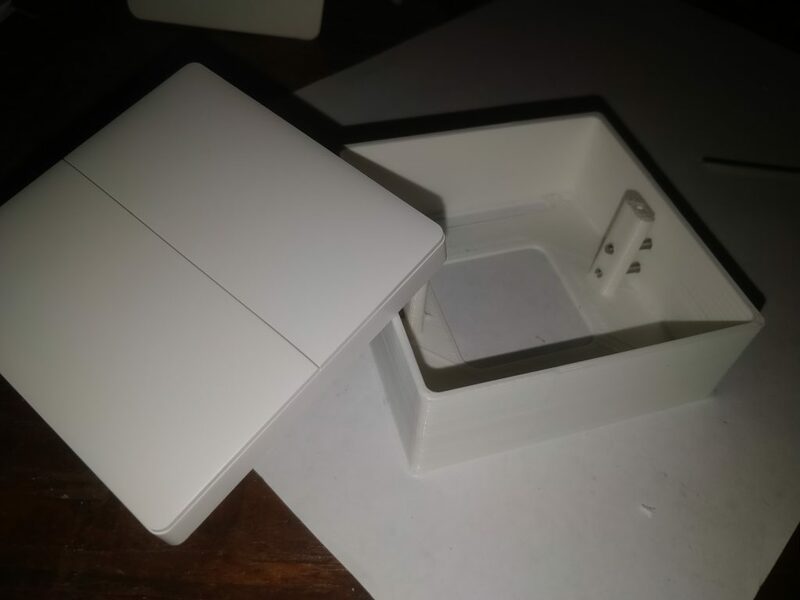 This post will be about adding a better wall-mount box for those little things. 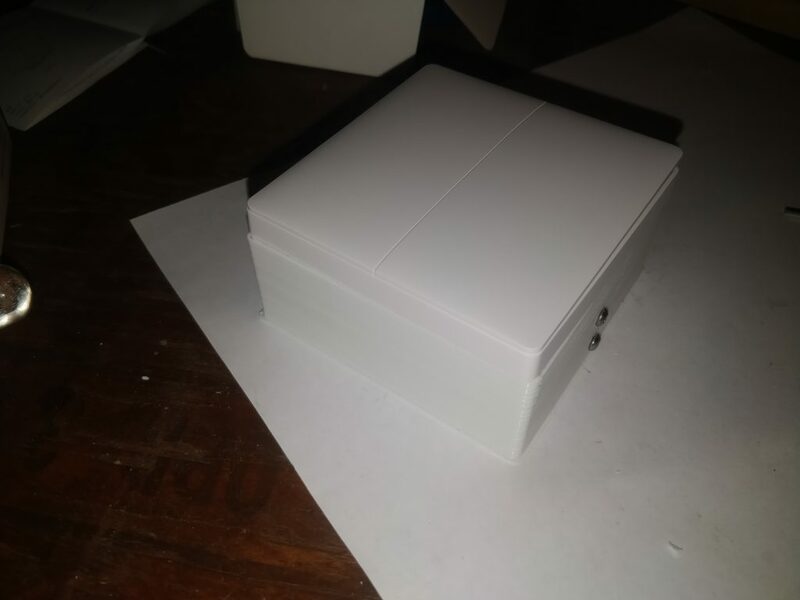 So this fact and the fact that I didn’t really like the boxes for those switches that were on the market made me decide to make my own 3d-printed box. Here’s what I came up with. 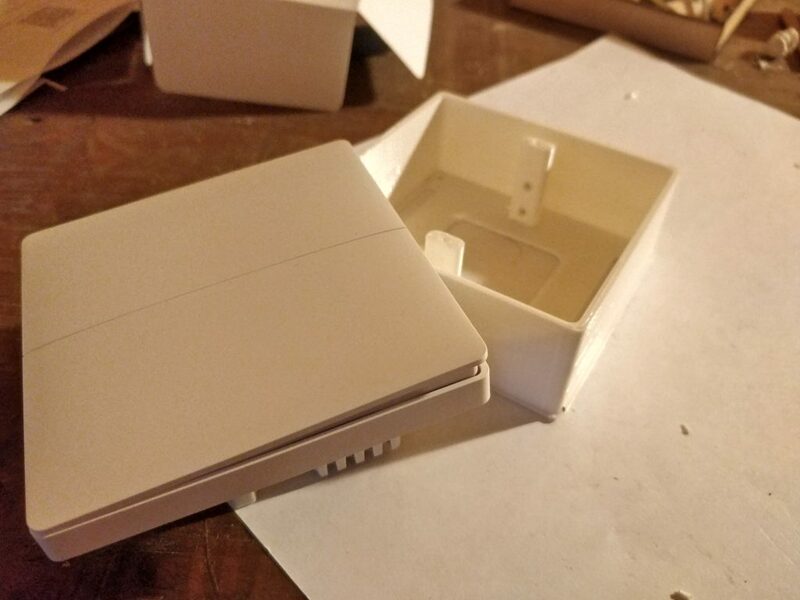 The idea is that the two standoffs are attached to the box using a thin interface layer and can be easily removed. They are held in place by the four screws on the sides. This approach allows you to print the whole box in one run. 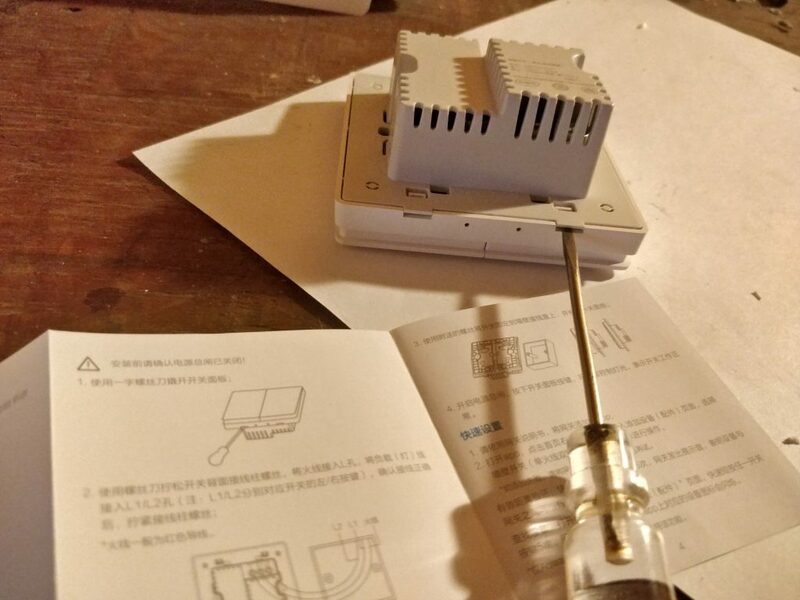 To remove the switch from the box, all you need to do is unscrew them. No more messing with plastic latches! Well, that’s all folks. 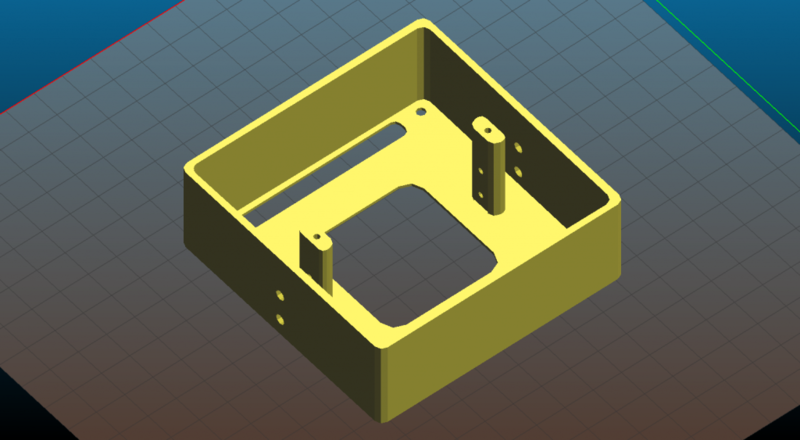 If you feel like, you can grab the 3d-model at thingiverse.